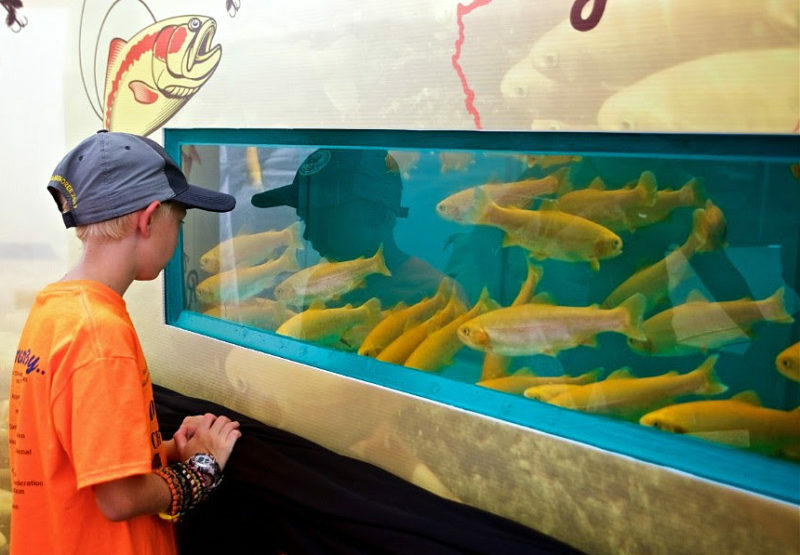 West Virginia Governor Jim Justice and representatives from the state Division of Natural Resources today launched the West Virginia Gold Rush — the Mountain State’s annual golden rainbow trout stocking initiative. “I hope as many West Virginians as possible take advantage of the Gold Rush this year,” Justice said while visiting Babcock State Park. Babcock was chosen for today’s ceremony because it is one of 15 state parks and forests to receive the stockings. Many state parks are offering overnight accommodations and have scheduled special programming during this special week. This is the second year of the Gold Rush. More than 40,000 goldens will be released during the six-day period, topping last year’s total by 5,000. Video of today’s Gold Rush event can be found here.